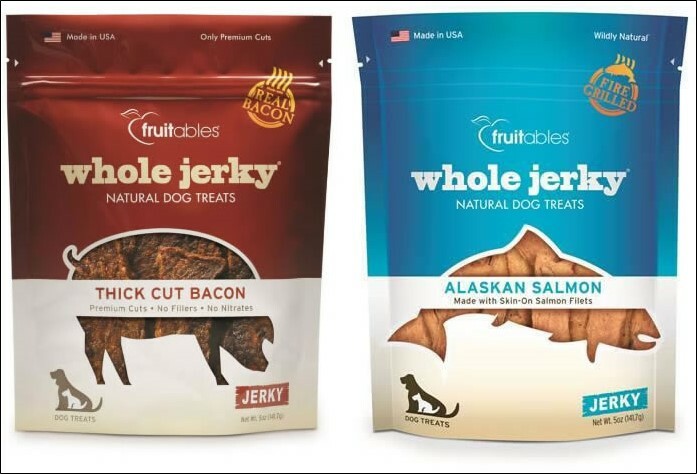 Fruitables Whole Jerky is great for that dog with a meaty craving. Each whole cut is made and sourced in the USA from premium meats - thick, meaty bacon or skin-on Alaskan Salmon filet meat. They have no by-products, filler or any other artificial ingredients.